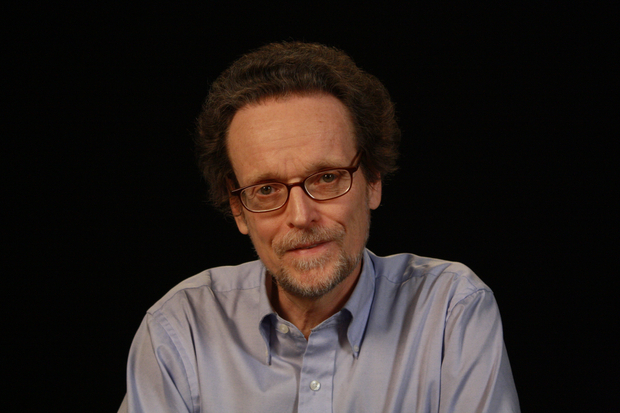 While the UN claims to have made significant progress on the Millennium Development Goals, philosopher Thomas Pogge spoke recently with Ben Hill about the true current state of global poverty, the systemic problems thwarting our best efforts to alleviate it, and the smarter solutions he and others are working on to circumvent these problems. The European: Dr. Pogge, in 2011 you wrote an article for The European on global hunger, in which you called the progress made on the UN’s Millennium Development Goals a “sham”, since the methods for measuring progress were being adjusted for purely cosmetic purposes. This year those goals are up for renewal. Going forward, what changes should be made to address the real situation of global poverty? Pogge: After I wrote that article, the worst thing happened. The Food and Agriculture Organization of the United Nations adopted a new “improved" methodology for counting the hungry, and with it the steadily increasing number of hungry people, from 1996 to 2009, was retroactively transformed into a steadily declining number of hungry people. Amazingly, the doubling of food prices between 2006 and 2009 had absolutely no impact on the number of hungry people according to this new methodology. The number continued falling through the late 2000s, with every year being lower than the year before. The European: Who counts as hungry now? Pogge: This new methodology is too absurd for words, but I will put it into words anyway. To count as hungry, according to their methodology, as you can see in the fine print on page 50 of the 2012 State of Food Insecurity book, you have to fulfill three conditions. Condition one: You have to be short of calories. If you’re short of any nutrient, be it vitamins, minerals, protein, whatever, you don’t count. You’re not hungry, and you’re not undernourished. Secondly, you have to be short of the minimum calories for a sedentary lifestyle, which is 1800 calories for an adult. Obviously, many people in the developing world do work: serious physical work. And very often their income depends on them doing this work. So, giving them just enough to get by on what I need, being someone who works sitting at a computer, is just absurd. At 1800 calories you can’t possibly survive if you do serious physical labor as many do. Which leads to the third condition: that the caloric deficit must persist for over a year. If you’re getting under 1800 calories a day for 11 months, you’re not hungry, you’re not chronically undernourished, you don’t count. The implication is that there biologically cannot be an undernourished rickshaw driver, because, if such a person ever really got below 1800 calories a day, they would be dead before the year is out. It’s that sort of absurdity we have encountered now with the MDGs. The European: Is there any hope for better measuring practices in the near future? Pogge: I think the hope is low. It is obvious how it should be changed. What we need are clear criteria specified in advance that must not be changed, for any reason whatsoever. It’s perfectly fine to change the methodology at the end of the period for the next period. It would have been perfectly fine for the FAO to say, in 2015, “OK this is the end of the MDG period, and for the Sustainable Development Goals period we have a better idea about how to measure hunger.” That’s perfectly fine. But you don’t do that in 2012, three years before the end of the period, with such incredibly dramatic effects. The European: What can be done to ensure more responsible practices? Pogge: The measurement task should be entrusted to an independent agency. It must not be handed to organizations like the World Bank or the FAO. Why not? Because they are government-funded and constrained to accept government data. In many cases where the MDG’s were measured, you simply add up what’s reported from the different countries. The number of people dying in childbirth in the world is the sum of the numbers reported by each country. Now, if any major country calls up the FAO or the World Bank and says, “Look, you got our numbers wrong. These are our numbers.” These organizations have to go along with it. They’re in no position to do otherwise. The European: Why hasn’t an independent agency been established? 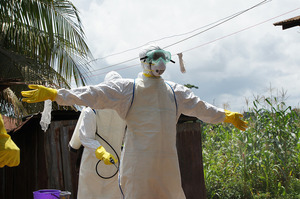 The European: In the aftermath of West Africa’s Ebola crisis, we have three major pharmaceutical companies racing to create a vaccine despite a relative lack of major monetary incentive. Do you believe that this is a hopeful sign for the future of disease prevention? Pogge: I’m not sure that this is really a major sign of change. First of all, an enormous amount of money was spent on Ebola. That’s important to note. On the order of tens of billions of dollars were spent on fighting the virus. That happened right at the point of course when Ebola looked like it would become a problem for people outside of Africa and that it might mutate in some way. Then suddenly a vaccine was worth a lot of money. So I think this is still driven by commercial interests, and the increased PR value of having something. When Ebola was a very marginal disease in Africa, companies could not get much good will from their paying customers for bringing a remedy to market; but now you can actually make something out of that for your reputation. So I think that’s an important part of the explanation. Had the latest outbreak been smaller or posed less of a threat outside of Africa, I don’t think we would see this level of interest. The European: Would you say that the coverage of the Ebola crisis was overblown, that all the attention led to unfounded panic in Europe and North America? Pogge: I’m not sure that they really over-reported in this case. There was obviously a major outbreak. A lot of people died. More than 9,000 dead, that is by any stretch of the imagination a very large number: three times larger than the victims of the 9/11 attacks. That had obviously very high visibility for other reasons, but if 3,000 people die in a single major event, that is big, right? So I think the reaction was not disproportional, but normally when 9,000 people die in Africa that isn’t news. In this case it was news, partly because Ebola is such a strange and mysterious disease, it might be a little scary and exciting for Western readers, but also because there was some real danger of it coming over. Many other forms of death in the developing world leave us cold because we know that this couldn’t happen to us. The European: What is the Health Impact Fund you and the non-profit Incentives for Global Health are currently working on? Pogge: With the Health Impact Fund we are trying to create a second track on which pharmaceutical innovations can be rewarded, one that will be voluntary for innovators. The first track of course is that innovators have a patent, and during the time of the patent they can, unmolested by competition, market their medicine at as high a mark-up as they please, only constrained by the loss of sales. So they can optimize the price, as the company Gilead has recently done with its drug Sovaldi, which is sold at around 1000 times its cost of production, for 84,000 dollars per course of treatment: 1000$ per pill. So that’s the usual way that pharmaceutical companies are rewarded for their risky efforts in developing drugs. We want to say to these companies, “Look, if you have a new drug, you can register with the Health Impact Fund, which distributes some 6 billion dollars in reward money per year. And, if you do register, you will be entitled, for ten consecutive years, to a share of these pools that is proportional to the health impact of the product that you register.” So if there are 15 products on the Health Impact Fund in a given year, for example, and your product is responsible for 8% of the health impact of all the registered products, then you get 8% of the pool for that year, or 480,000,000$. This repeats for a period of 10 years, and the end of that period you’ve reaped your reward and the drug goes generic. The European: That sounds like a good incentive. Pogge: Now you have to do something in exchange for this reward money, and that is you have to sell the drug to patients at the cost of production. You cannot make any money on mark-ups. And we might police that by asking the innovator to put the manufacture of the drug out for tender, which they already do anyway. So the medicine gets manufactured by some cheap but very reliable manufacturer in India, say, the innovator then buys the product from the manufacturer at the agreed-upon price and sells it to wholesalers at that very same price. The innovator makes no money on either production or sale of its product – only on the health impact rewards. That’s the basic idea. That’s where we want to get to, and of course there is the objective that medicines we already have should be available at a very low price for very poor people as well. This is the heartbreaking thing about the status quo: you have medicine that can be produced for pennies, and nevertheless people die because it’s sold for a very high price. Take again the story of Sovaldi with Hepatitis C, you can produce the stuff at a price that pretty much every sick person can afford, and you’re selling it for a thousand dollars a pill, thereby ensuring that lots of people die because they can’t afford it. The European: But the health impact fund doesn’t discriminate against the poor. Pogge: Yes, and this gets us back to Ebola. The Health Impact Fund would incentivize the development of new medicine for the big diseases of the poor, like Malaria, because there is a lot of potential health impact to be harvested. Research firms neglect these diseases under the current system because nearly all patients are poor. Under the HIF scheme, by contrast, the innovator gets reward for health impact regardless of whether the patient is rich or poor. The HIF does not discriminate between rich and poor. The European: Is there some challenge to monetizing disease prevention rather than cure? Since with vaccines the impact might not always be as tangible as it is with suppressing and treating a current outbreak. How do you reward those who invent vaccinations? Pogge: That’s a very good question. The HIF would reward therapies of different kinds on exactly the same scale, according to their health impact. We might classify medicines into three categories: those that cure you, ejecting the disease from your body; those that prevent the disease from entering your body, like vaccinations; and those that achieve neither of those two things but make you feel and function better, like HIV/AIDS medicine for example. Under the present regime, medicines of these three kinds get rewarded very differently. The most lucrative is the third, because there you have a customer for life. Every Monday morning this guy shows up at the pharmacy and buys another course of treatment. And he has to. You’ve got him over a barrel, as it were. Under the present regime, vaccines are the least lucrative. Not only are they a one-shot deal, that’s also true of cures, but they also tend to be sold to large buyers who have the market power to press prices down – something that individual patients cannot do, of course, at the pharmacy. The European: How does the HIF help tip the scales? Pogge: At the moment, our arsenal of medicines is very heavy on the so-called maintenance drugs, the third kind, and is very light on vaccines, the second. The Health Impact Fund would be completely neutral. So it would simply calculate how much better off we are in terms of quality-adjusted life years, with a particular vaccine present and in use versus it not being present or in use. And so every bit of health impact will count exactly the same, and that would shift the balance in favor of vaccines. Vaccines would become much more attractive to research. The European: Where are you right now with the implementation of the Health Impact Fund? Pogge: We are in the process of doing various pilots, and one pilot up and running is in Mumbai at Hinduja Hospital, which is a major tuberculosis treatment center, specializing especially on the highly resistant strains of TB, multi-drug resistant TB. We’re working in close collaboration with Janssen Pharmaceuticals, which is a subsidiary of Johnson & Johnson, probably the largest pharma company, which is very supportive. I think it’s no coincidence that Johnson & Johnson is helping us. Not only do they have some really wonderful and committed people in the company, but, unlike other pharma companies, they also have a broad spectrum of products that are of great relevance to the middle classes in the developing world. J&J has then more reason to be concerned about what the middle classes in the developing world think of them, whereas this is of very little relevance to other pharma companies whose only products are high-priced pharmaceuticals that can be sold only to the richest 2 percent of the population in the developing world. The European: How else are you helping to provide medicine for the poor? Pogge: We also talk to individual countries about the possibility of renegotiating some prices that they have negotiated with pharma companies. 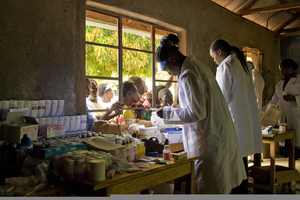 Many developing countries have to ration drugs. They want to provide medicine to their people. But because these medicines are so expensive, the countries must carefully circumscribe the indications for which the medications may be used. For example, take again Sovaldi, costing 84,000 dollars per course of treatment. A poor country may choose to give this drug only to patients who are young and in imminent danger of liver failure. What we hope to do is help such poor countries negotiate a deal where the drug would be purchased also for less important cases, but at a lower price. That’s exactly the Health Impact Fund idea: pay for performance, for health impact actually achieved. The European: What can these negotiations achieve? Pogge: This sort of pay-for-performance pricing could be good for both sides. The innovator sells additional product at a lower but still very healthy profit. And the country achieves large gains in health and survival, while recouping much of the added expense through cost savings as pills avert costly hospitalizations. By switching countries to this staggered pricing structure, we are taking a step towards implementing the HIF, we are pioneering measurement, we are working on ways to calculate the impact a particular course of treatment has on this, that, or the other patient. We are developing a plausible method for valuing particular therapies on the basis of information about the patient and the outcome (the two dimensions in which we have to differentiate in order to fix a fair price), and in general we are inuring governments to the idea of Health Impact Fund-type pricing. The European: You also support certain responsible charities, as well as the “Giving what we can” initiative, yet how much of an impact can philanthropy and charities alone make in the grand scheme of poverty reduction around the globe? Pogge: That’s again a very good question. I think they have quite a bit of impact, and what’s important here is to understand that there are countervailing forces that work against charity and philanthropy: forces that would do a lot more damage if we didn’t have the constant neutralization—or at least the alleviation, reduction, or partial compensation—of these forces through philanthropy. People say, "Look, we have pumped billions if not trillions of dollars down this rat hole of public and private aid, and there are still hungry people in Africa.” And so they think that all this aid hasn’t done much good. This is a mistake analogous to believing that running up a descending escalator makes no difference because the runner stays in place. Philanthropy makes a real difference, but nonetheless we see little progress because so much of philanthropy is just compensating the effects of systemic factors that work against the poor. Pogge: Right. There are many systemic factors. The rules of the game in this newly emerging global institutional order are fixed by the rich for the rich. They are the ones who can influence government policies, and of course they do so with tender loving care for their own financial interests. The European: You are also very aware of the impotency one feels as a law-abiding citizen in an unjust nation or an unjust world. How do your methods combat this impotency in order to promote action? Pogge: I think that by far the best and perhaps the only way to make progress is through a mobilization of ordinary citizens through democratic channels. I think any idea of violence, anything sort of radical in that regard, is very, very deeply counter-productive, and it just gets us into a security-state where discussion is essentially stifled, and in which people don’t listen anymore. It panics people, it makes them shut off, and you can’t make any headway. The arguments are so incredibly compelling—it would be easy and absolutely morally imperative to reform our economic structures in such a way that the poorer half of humanity has a decent life. It is so affordable. It is so easy to do. The arguments are so strong, that they should not be disturbed by any kind of violence. Just let people hear the arguments, and then every decent person—there are certainly enough in this world—will support the needed reform. The European: What is the single best thing that an individual can do to combat global injustice? Pogge: There is no general answer: It depends on who you are, because every citizen has different strengths, different sensibilities. You have to do something that you can put your heart into. For example, you seem to be a bright and articulate person, so with you I could say: You can inform the public, using your skills as a journalist and so on. But other people might be shy and awkward, or they might have a bit of a speech impediment, and I would not want to say to them that this is what they should do. I think it’s crucial to note that, in the total mix that we now have, we have too few people who are working on highlighting the systemic issues, people who’re basically theorists like me that analyze factors such as illicit financial flows, the patent system, and so on. We have wonderful people, and you said rightly that I strongly support the movements “80,000 Hours” and “Giving What We Can”. They inspire philanthropic action, like buying the bed nets that are so urgently needed. But we also need more people who can try to do something about these systemic factors that propel that descending escalator. Did you like the conversation? 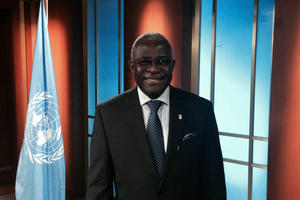 Read one with Kanayo Nwanze: "Development starts from within"